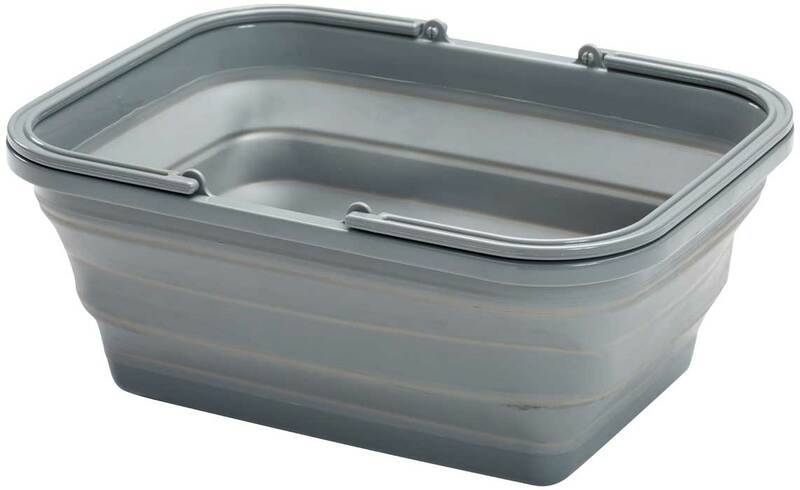 A convenient space saving washing up tub that will flatten down to fit in your cupboard or other slim space. It is constructed of light grey silicone and is therefore lightweight. It has a solid base and top which maintains the shape of the tub. There are two carry handles so if you need to take it to a washing up area on a campsite, you'll have a free hand for other things.